Rosia Montana is a community of 16 villages located in a district known as the Golden Quadrilateral, in the South Apuseni Mountains of Transylvania, Romania. After spending 15 years trying to build a $2bn gold mine in Romania, Canada-listed Gabriel Resources (TSX:GBU) may have to re-evaluate its plans as the village where it was planning to set up shop has been declared a site of historical interest. 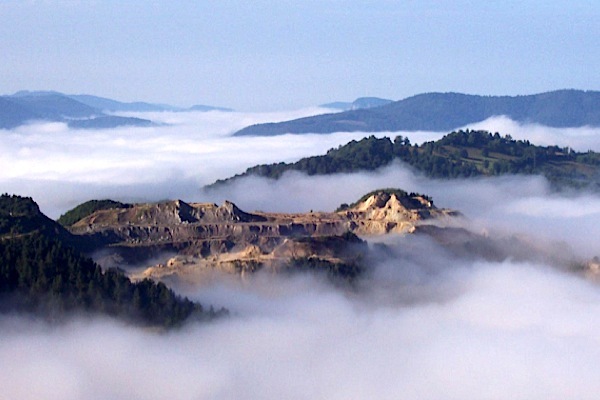 The decision grants Rosia Montana protection from industrial activities, including mining, AFP reports. “The culture ministry has finally decided to protect our cultural heritage,” history professor Ioan Piso, one of the main opponents of the project was quoted as saying. Gabriel Resources, which holds an 80% stake in the Rosia Montana Gold Corporation, filed in July a request for international arbitration to obtain compensation from Bucharest over the delays to its flagship project. For years Romanians have protested against the project, which they deem as an environmentally risky project and an even larger problem of political corruption. The pollution concerns are tied to the company’s planned use of cyanide to extract 300 tonnes of gold and some silver from the ore. The company, which has spent over $1.5 billion on the project since it first acquired the concession in the late 1990s, argues the mine would bring hundreds of jobs and boost Romania's economy. It also says the project would help the rehabilitation of an area polluted from previous mining.